Early in The Shining, we learn the story of Charles Grady, the Overlook Hotel’s previous caretaker, who slowly went mad and killed himself, his wife, and his two daughters (not necessarily in that order). 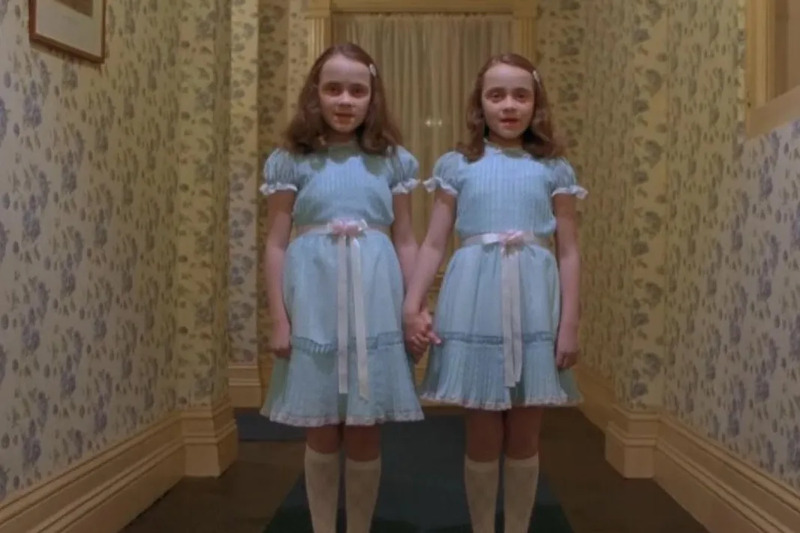 Later on in the film, Danny runs into the ghosts of the two Grady girls in one of the most iconic scenes in the movie. Now murdering your child is bad parenting, but there’s actually another story here. People usually assume that the Grady daughters are twins, but they’re actually just sisters, 8 and 10 years old. So even though the two girls are about two years apart, someone made the decision to dress them exactly alike. That’s really creepy. That’s a level of neurotic control freak that would make Monica Geller squeamish. With that in mind, it’s pretty easy to see why their dad went crazy. 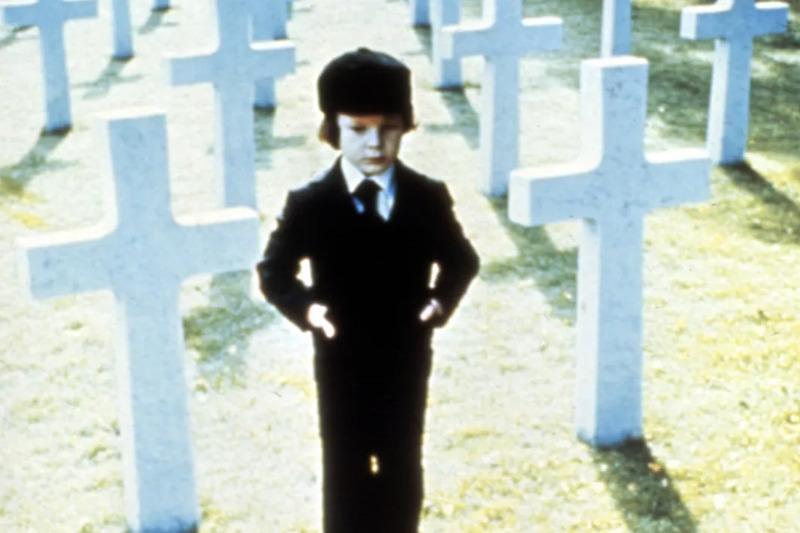 The Omen tells the story of the Antichrist Damien, who starts displaying supernatural tendencies after being adopted by U.S. Ambassador Robert Thorn and his wife Katherine. If you consider the fact that the Devil is Damien’s real father, it’s easy to see where things went wrong, but his adoptive parents aren’t completely blameless. 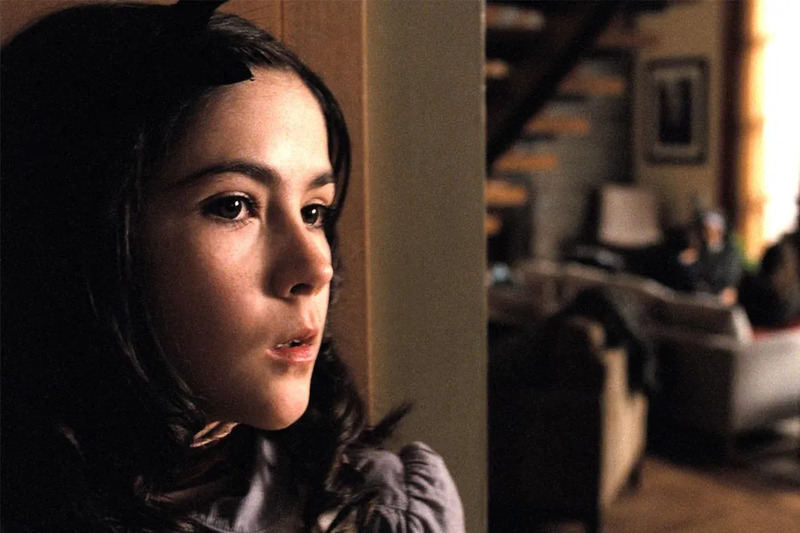 After Damien’s nanny unexpectedly hangs herself (warning sign number one), a Catholic priest tries to repeatedly warn the couple about Damien’s demonic origins, but they refuse to believe him. Even after the priest is impaled by a lighting rod, Robert remains unconvinced. Here’s a lesson to all the husbands of the world. If your significant other tells you that your child is a murderer, or the Antichrist, or a 33 year old woman trapped inside a child’s body, you should take that accusation seriously, maybe write it down. 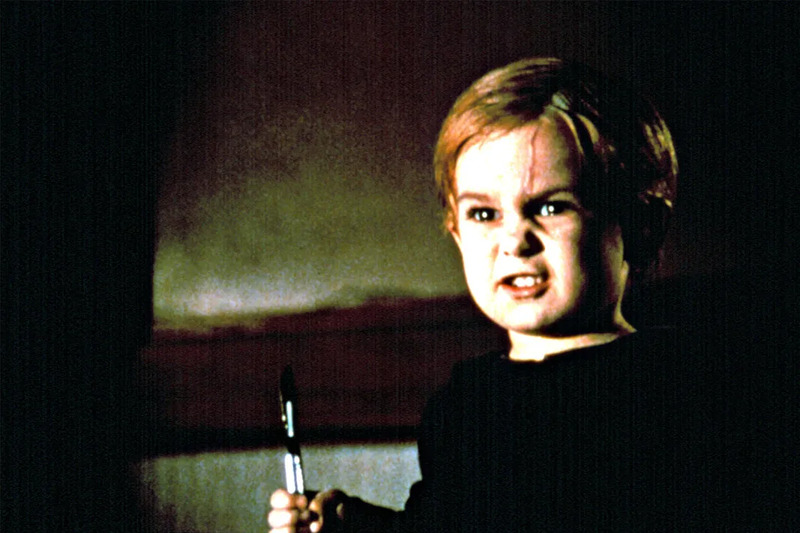 After Gage Creed is struck and killed by a truck, his father Louis decides the bury his son in Pet Sematary (a pet cemetery), which is both negligent and also super disrespectful. Soon after his body is moved to the pet cemetery, Gage comes back from the dead (yay!) and starts murdering his family (yay?). 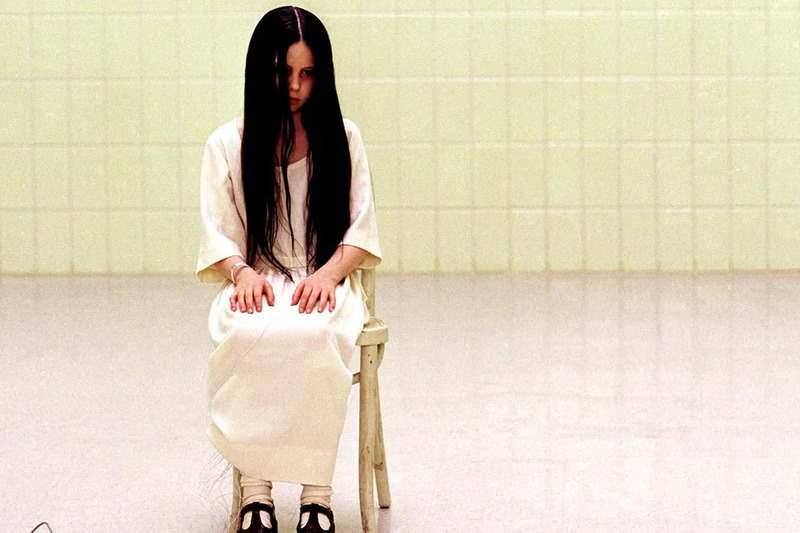 Samara Morgan is The Ring‘s primary antagonist, but her backstory makes her a tragic and sympathetic character. After her real mother tries to drown her, Samara is adopted by an American couple, Anna and Richard Morgan. Eventually Samara’s adoptive parents begin to fear their daughter’s powers, so they decide to get her the help she needs. Oh wait, nevermind, they lock her in a barn and then shove her down a well. Probably not what Doctor Phil would have reccomended. Even if you’ve never seen The Sixth Sense, you know the basic plot. Hayley Joel Osment sees dead people. One of the these ghosts is Kyra Collins (Mischa Barton), a chronically ill girl who recently passed away. While the character herself is unsettling, her death is even more disturbing. Kyra was a victim of a particularly disgusting form of child abuse, Munchausen syndrome by proxy. This means that Kyra’s caretaker (in this case, her mother) was intentionally keeping Kyra sick (by feeding her cleaning fluid) so she could continue taking care of her and gain the sympathy of those around her.